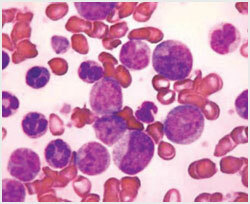 Myelodysplastic Syndromes (MSD) are a group of diseases in which the bone marrow does not make enough healthy blood cells. When there are fewer blood cells, there are higher chances of infection, anaemia, or internal bleeding. In one of the studies, cord blood transplantation (CBT) done in 18 adult patients with Myelodysplastic Syndromes, fourteen of the patients are alive and free of disease at between 185 and 1332 days after transplantation. The probability of disease-free survival at 2 years was 76.6%. In another study, results from cord blood transplantation for 13 adult patients with advanced Myelodysplastic Syndromes suggest that adult advanced MSD patients should be considered as candidates for cord blood transplantation as it is effective with all treated patients having survived and free of disease.